Retro it Indoor Drum is a stool, which connects classic style with modern material qualities. That’s the reason why the comfortable seat from Sack it is a highly modern piece of furniture. 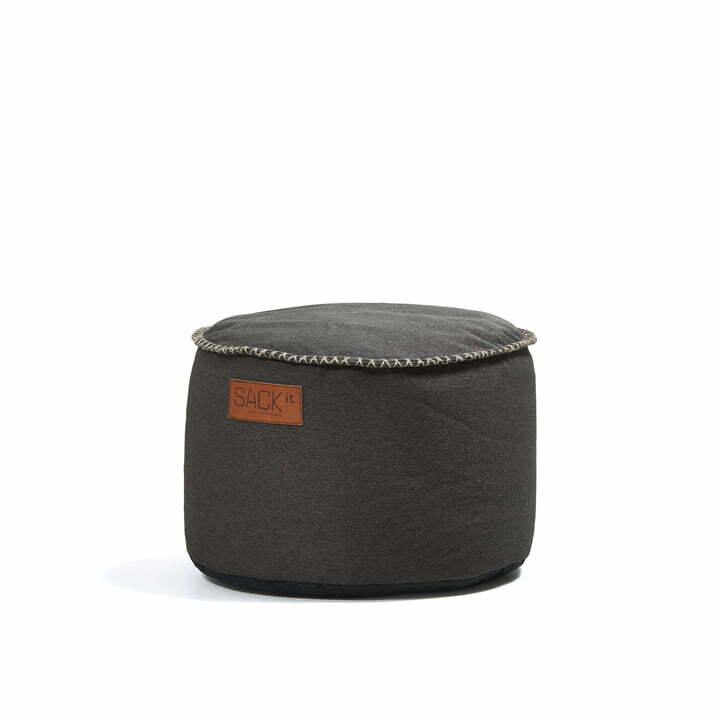 The minimalistic home will get a little Vintage touch with this comfortable seat by Sack it. 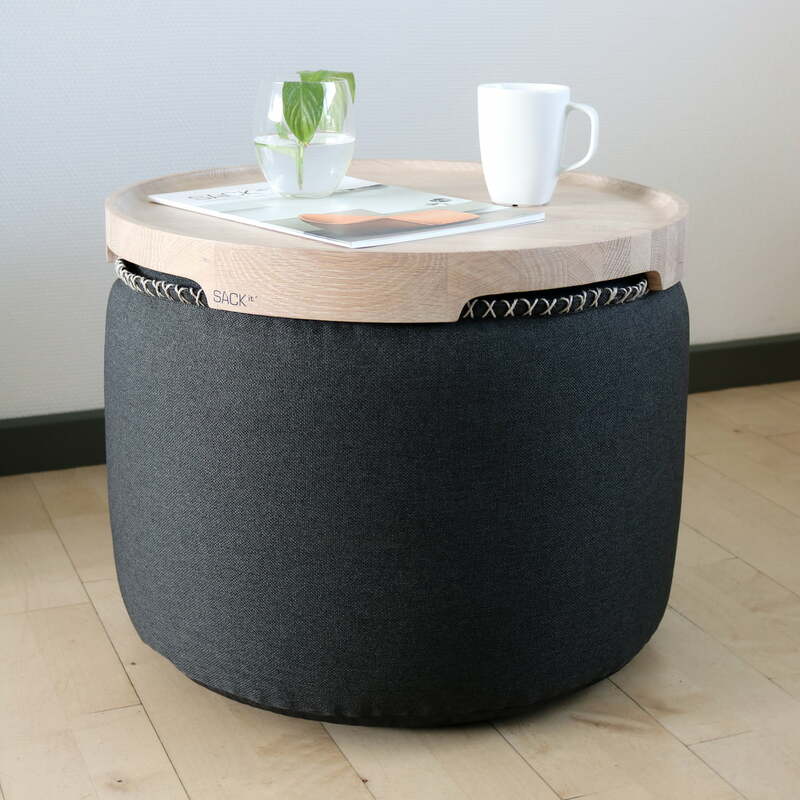 The Retro it Indoor Drum is also suitable to be used as small side table or footrest. A modern furnishing is characterized by straight lines. In those rooms, it is the Retro it which will catch all glimpses because of the rustic style. 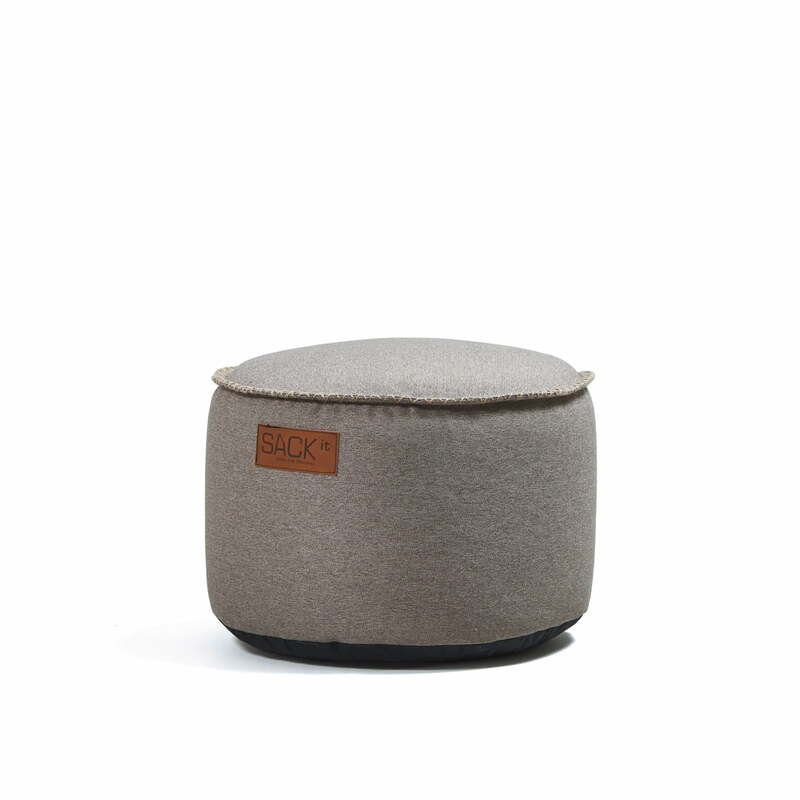 Sack it produces the Retro it Indoor pouf with a cover of canvas fabric out of 95% polyester and 5% cotton, which is comfortable and resistant at the same time. The cover of the Drum cushion is removable with the zip-closure and it can be washed by hand. Sack it is filled with pollutant-free EPS-cylinders, which will always return to their original form. All the Sack it beanbags have an abrasion-resistant surface, strong seams and carefully processed material. The Retro it Indoor is perfectly adapted to relax. The Sack it Retro it Indoor Drum is also available in further colours. Lifestyle product image of Tray it on the Retro it Drum. It can be used as a serving tray or as a practical side table when combined with the Sack it stool.